In honor of Earth Day, Nearby Nature is once again partnering with SOLVE for an annual cleanup of Alton Baker Park. And this year we’ve joined forces with Willamette Riverkeeper to participate in the larger community effort, Clean Water for Great Brews. Each eligible volunteer (18+) will receive a punch card good for 12 free drinks at local coffee shops and breweries in Eugene and Springfield! 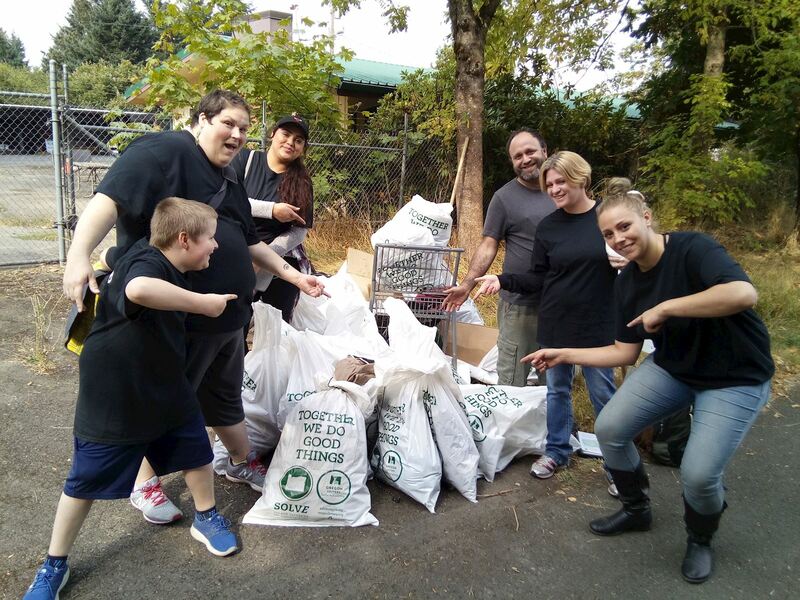 Join neighbors, community organizations, and local businesses in picking up litter and helping to ensure the park is clean and safe for everyone – all while enjoying a stroll in the park. Maybe you’ll see a great blue heron, a duck, or a beaver. Meet on the lawn by the yurt at Nearby Nature's site in Alton Baker Park. Nearby Nature will provide gloves, tools, and small snacks. Volunteers should register in advance, bring a water bottle, and dress for the weather in closed-toe shoes and clothes they don't mind getting dirty. Due to potential safety concerns related to kids and picking up trash, we ask that all participants are 10 years of age or older.